GSP Enterprises is one of the leading company that offers superior quality Basic Violet 8 which is used as a bacterial stain. 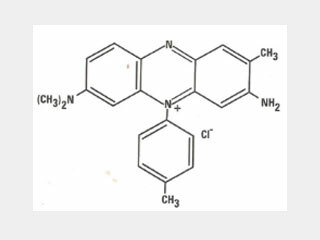 Also, Basic Violet 8 is used in the commercial preparation of other dyes. Basic Violet 8 has superior green shine crystals which make a red solution when dissolved. This red solution is used in coloring textiles and leathers. Basic Violet 8 dyes vegetable and animal in nature. Also, Basic Violet 8 dyes are utilized as a bacterial stain and in the commercialized preparation of other dyes. Acid Fuchsin (acid magenta) a mix of sulfonated fuchsins used in Andrade's indicator and in different complex stains. Basic Fuchsin (basic magenta) is soluble in water, yellow to green powder. The mix of magenta II and fuchsins dark green powder is used in staining of tubercle bacillus as an anti-fungal agent in Castellani's paint for identify between coli and aerogenes bact, as a histologic stain, and as a germicide.